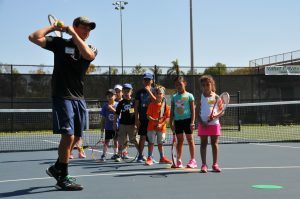 A fun and supportive introduction to competitive tennis. 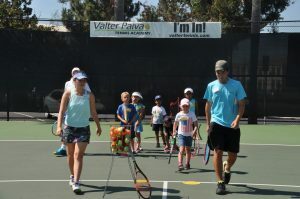 USTA Junior Team Tennis brings kids together in teams to play singles and doubles against other teams. It promotes social skills and important values by fostering a spirit of cooperation and unity, as well as individual self-growth. 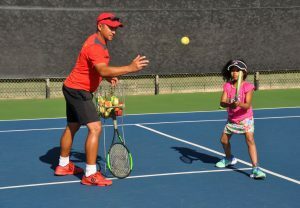 Two of our teams (the 10 and under – Intermediate, 12 and under – Novice) took first place on the Orange County League winter 2014 and another team (14 and under – Advanced) qualify to the sectionals in Indian wells – Palm Spring. The 2017 season is underway, and we look forward to seeing our students out there competing!